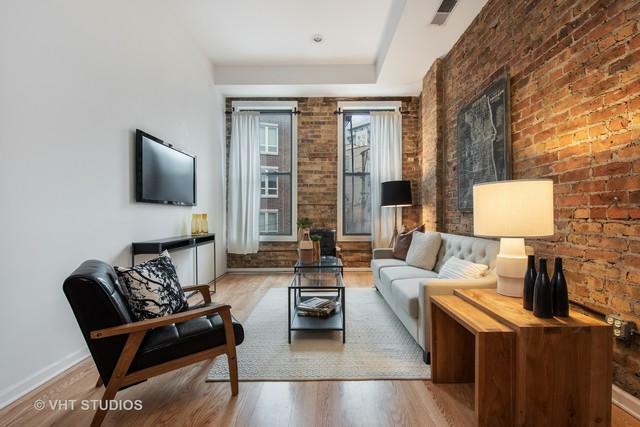 Loft-style vintage one bed, one bath condo in the booming River West neighborhood, tucked away on quiet backside of building. 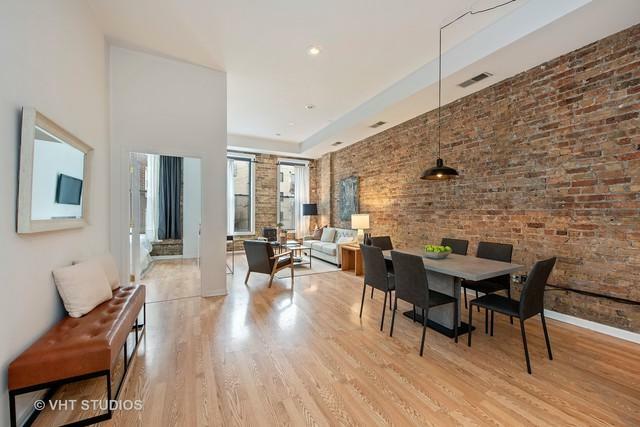 Spacious, open-concept living and dining room space has exposed brick walls, oversized windows, and exceptional 11' high ceilings with lots of space for entertaining and a large dining table. Hardwood floors run throughout. Kitchen has stainless steel appliances, granite countertops, and a pantry for storage. 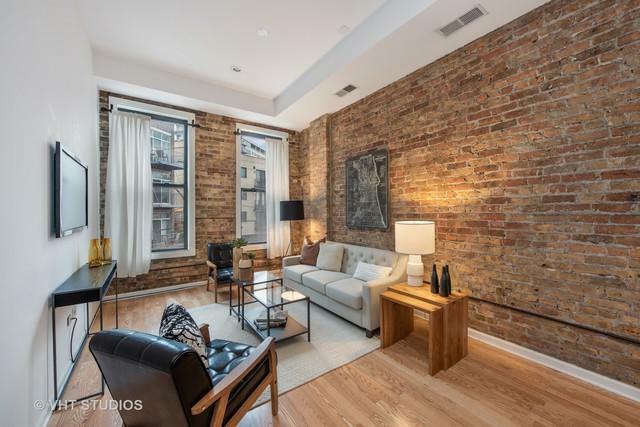 Fully enclosed master bedroom has exposed brick walls, nice natural light from big windows, space for large dresser, and double door closet with high storage above. Bathroom has a new stylish vanity with matching mirror and soaking tub with shower. Coat closet, in unit washer and dryer, central air and gas forced heat. Extra storage closet on the same floor as condo. Walk to restaurants, coffee shops, shopping, night life. 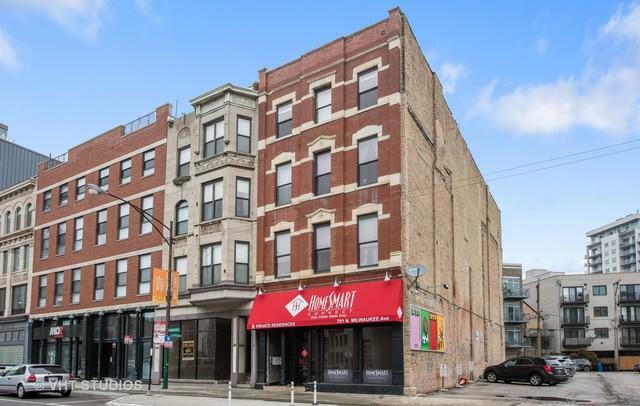 1 block to the Chicago Ave blue line train, Chicago and Milwaukee bus lines, easy access to highway, and traveling to the Loop.